Critics' Choice For Best Documentary: "Won’t You Be My Neighbor?" Bing Liu tied atop the Best First Time Director category, winning the Critics' Choice honor for his "Minding the Gap" documentary. 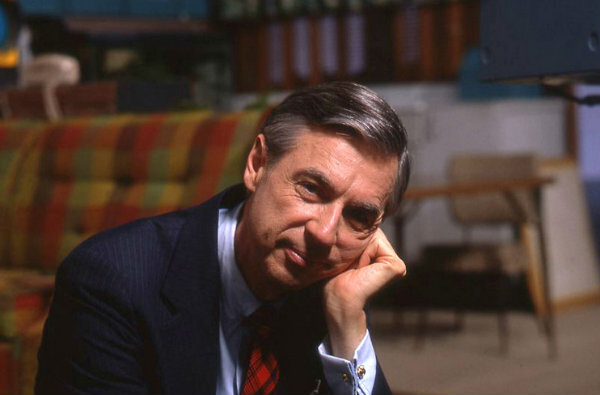 Director Morgan Neville’s Won’t You Be My Neighbor? (Focus Features) won the Critics’ Choice Award for Best Documentary this evening (11/10) during a gala ceremony hosted by Bill Nye at BRIC in Brooklyn. Won’t You Be My Neighbor? not only won the 3rd annual competition’s top honor but also Best Director distinction for Neville and the Best Editor mantle for Jeff Malmberg and Aaron Wickenden. Like Won’t You Be My Neighbor?, Free Solo won three Critics’ Choice Awards--for Best Sports Documentary, Best Innovative Documentary and Best Cinematography (Jimmy Chin, Matt Clegg, Clair Popkin, Mikey Schaefer). Directed by Chin and Elizabeth Chai Vasarhelyi, Free Solo follows Alex Honnold as he becomes the first person to ever free solo climb Yosemite’s 3,000-foot high El Capital Wall sans ropes or safety gear. The Critics’ Choice Documentary Awards are determined by qualified members of the Broadcast Film Critics Association (BFCA) and the Broadcast Television Journalists Association (BTJA).